BLU youth member Rhiannon Curley entered a single fleece in the open class wool show during the recent Deschutes county fair in Redmond, OR. It was from her new ram, Jehovah’s Cornerstone. 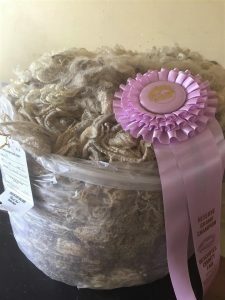 The fleece placed champion in the BFL division, and then it took Reserve Grand Champion Fleece in the wool show.